As snow and ice season approaches, Representative Avery Bourne is teaming up with the Illinois Department of Transportation (IDOT) and the Illinois State Police (ISP) to remind motorists in the 95th District to be prepared. By taking steps to prepare for wintry driving conditions, the motoring public can do their part to make this a safe and successful winter driving season. • Always wear a seat belt. It’s the law in Illinois. • Slow down. You need extra space and time to brake. • Drop it and drive. Put down the handheld devices – it, too, is the law in Illinois. • Don’t crowd the plow. A snowplow operator’s field of vision is restricted. • Avoid using cruise control in snow and ice. • Be especially careful approaching intersections, ramps, bridges, and shady areas, as they are prone to icing. 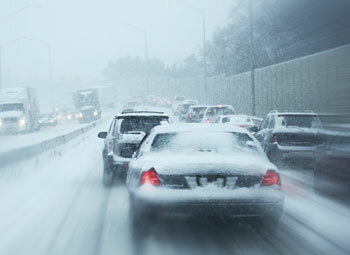 • Do not travel during bad weather unless absolutely necessary. If you do have to make a trip, check the forecast and make sure someone is aware of your travel route. • Prepare an emergency car care kit that contains jumper cables, flares or reflectors, windshield washer fluid, a small ice scraper, traction material, blankets, non-perishable food, and a first aid kit. • Carry a cell phone and a car charger in case of emergency. At any time, motorists can check travel conditions by calling 1-800-452-IDOT (4368) or visiting gettingaroundillinois.com. Illinois Tollway information is available at 1-800-TOLL-FYI.